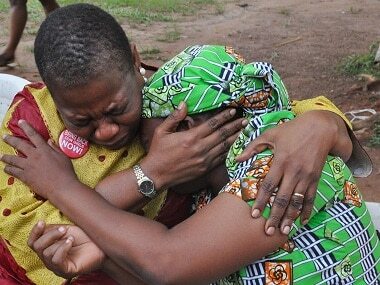 As Nigeria prepares to mark the fourth anniversary of the Chibok kidnapping, UNICEF reported that over 1,000 children have been abducted by jihadists since 2013. 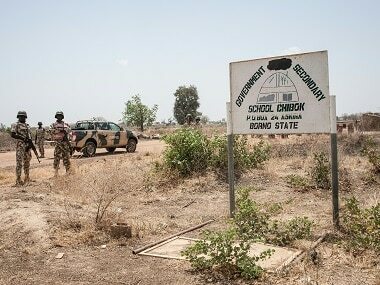 The Nigerian military rescued 76 schoolgirls and recovered the bodies of two others, after the students went missing during a Boko Haram attack on a village. 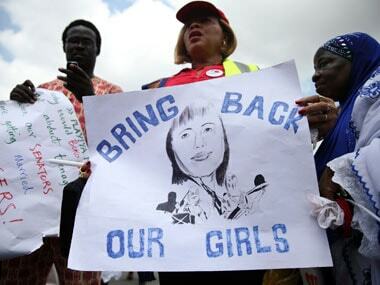 Following is a timeline of events since the Boko Haram jihadist group abducted more than 200 schoolgirls in the remote town of Chibok in northeastern Nigeria in 2014. 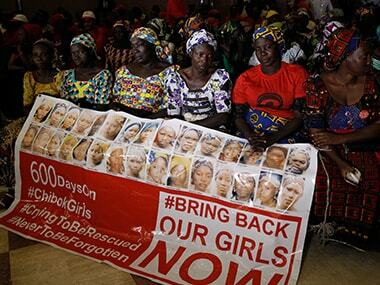 Jihadist group Boko Haram released 21 kidnapped Chibok schoolgirls to the Nigerian government following a prisoner swap, an official in the president's office said Thursday. 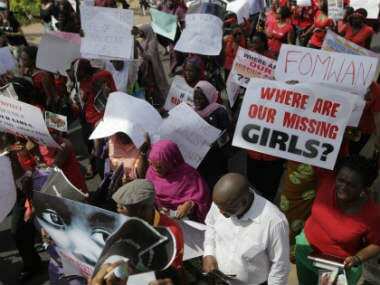 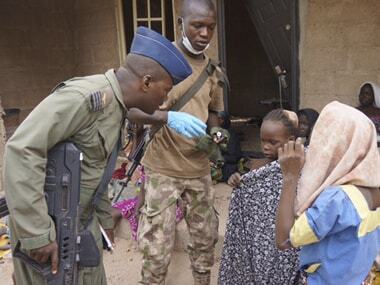 Boko Haram Islamists have killed 10 people and abducted 13 others in a raid on a village near the northeast Nigerian town of Chibok where the militants kidnapped over 200 schoolgirls in 2014, locals told AFP on Sunday. 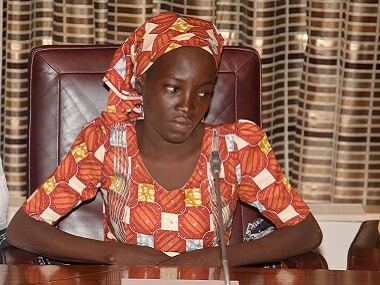 Ali's uncle said the last time he saw the Chibok girl was in the office of the National Security Adviser at the presidential villa on 19 May. 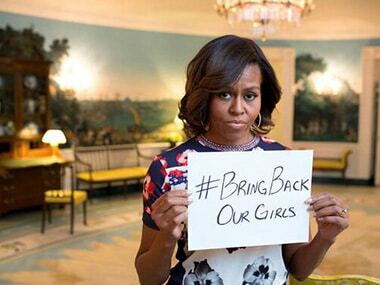 The BringBackOurGirls group has mounted daily vigils in the capital since Boko Haram abducted the girls from Chibok two years ago. 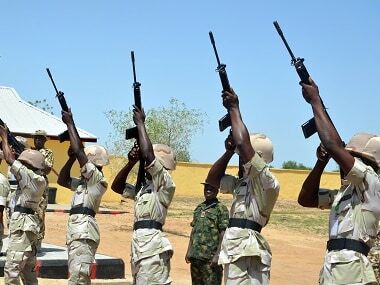 Amina Ali was discovered in the Sambisa Forest by civilian vigilantes assisting the military and brought back to her home town of Mbalala, near Chibok. 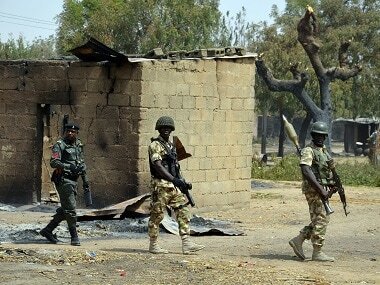 Fourteen people were killed, some of them decapitated, in a Boko Haram raid on a village in northeast Nigeria, a resident and a civilian vigilante assisting the military said on Friday.